Covert cameras have helped up fill more buck tags and put trophies on the wall—watch and learn. Michael Lee shares a great tip when looking through your binos for a steady clear view. Michael Lee is turkey hunting in Florida with Chad Parker of Long Beard Life in the middle of Florida’s 2018 turkey season when they have the fastest hunt of the year! Backwoods Beards 1.4: Jeremy Johnson and David Peacock are turkey hunting in Alabama when this gobbler comes in and shows off! 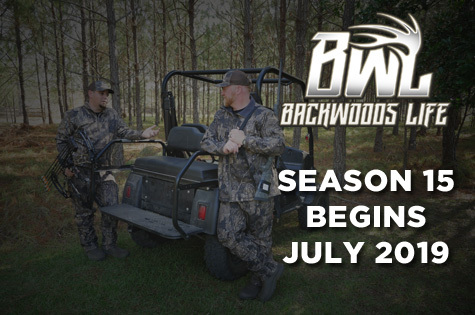 Backwoods Beards Episode 1.3: Backwoods Life host Michael Lee and his dad Mike are hunting in Georgia for the opening of the 2018 turkey season!